Cuba is an island country in the Caribbean. The official language is Spanish. 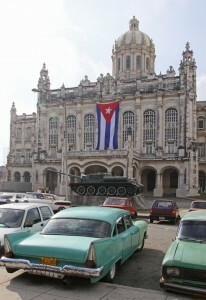 The largest city is Havana. Below is a selection of the best resources for searching for an apartment in Cuba. Cubisima: Cubisma is an ugly 1990s looking site, but it is an OK place to start your search if you are looking for long term options. Media Vacaciones: If you are looking for vacation and short term rentals, check out this site. If you are interested in working in this country, be sure to check out my article on how to find a job in Cuba as a foreigner. Enjoy your stay!